PaperCut is an international application. It has been designed with international support in mind and as such is used in helping users in over 100 countries save on their printing costs. When logging into the user web interface language is automatically detected based on the user's browser and desktop settings. The language may also be overridden by choosing a different language. The language options available include: Chinese (Simplified and Traditional), Croatian, Czech, Danish, Dutch, English, Finnish, French, German, Greek, Hebrew, Hungarian, Italian, Japanese, Korean, Lithuanian, Polish, Portuguese (Brazil and Portugal), Russian, Serbian, Slovak, Slovene, Spanish, Swedish, Turkish. Whew! End-users accessing the end-user web interface and receiving pop-ups for print job confirmation and account selection will experience PaperCut in their native language. 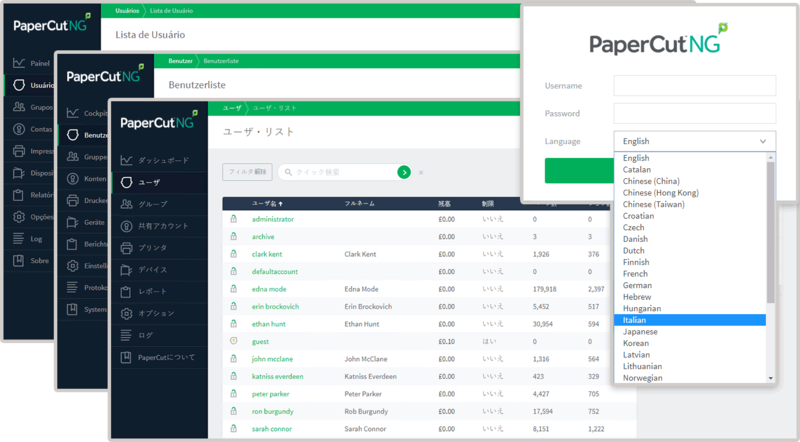 PaperCut's administrator interface has also been fully translated into selected languages, including Chinese (Simplified and Traditional), Czech, Dutch, German, Spanish, Croatian, Japanese, Portuguese (Brazil and Portugal), Russian and Slovenian. It is possible to override the detected/local settings and specify any custom currency symbol or number format. Have costs and quotas be shown in €, £, ¥ or any other currency. Important for currencies in large or very small units, the precision (number of digits after the decimal point) can be adjusted to how detailed you would like your accounting to be. 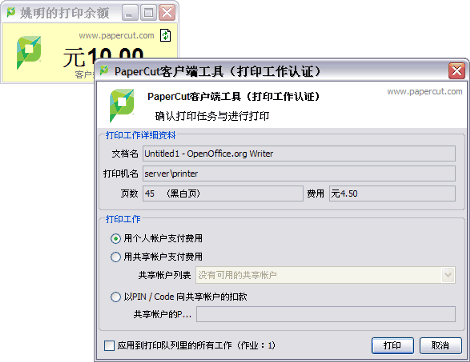 Many of PaperCut's translations are contributed by our customers all working together in a cooperative fashion. Maybe your language is not listed, or maybe you see a mistake in the current interface. Contact our development team and they will provide you with instructions on to how participate in the translation process.